Eight handmade double Chocolate Orange marshmallows. Irresistibly sumptuous. 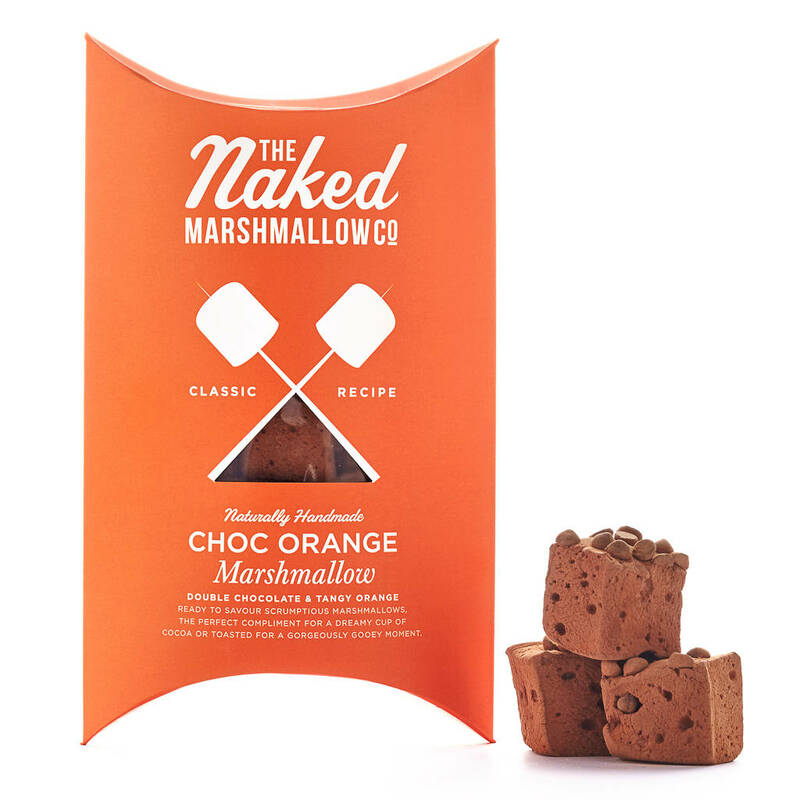 Our decadent double choc orange marshmallows are handmade using natural flavouring, pure cacao powder, finest Belgian milk chocolate and always exclusively fairtrade sugar. Luxuriate with these lovelies straight from the box, melt into a fancy cup of cocoa, or let a toasted marshmallow tickle your fancy with our best-selling Marshmallow Toasting Kit! Sugar, Liquid Glucose, Water, MILK Chocolate (8%), (Min Cocoa: 35.1%, Sugar, Cocoa Butter, Whole MILK Powder, Cocoa Mass Emulsifier: SOYA Lecithin, Natural Flavouring), Beef Gelatine, Confectioners’ Sugar, Corn Flour, Cacao Powder, Lemon Juice, Salt, Orange Natural Flavouring (0.4%). MAY CONTAIN PEANUTS, OTHER NUTS, MILK OR SOYA. Not suitable for vegetarians. Gluten free. Storage: Store in a cool, dry place. Once opened, keep airtight. 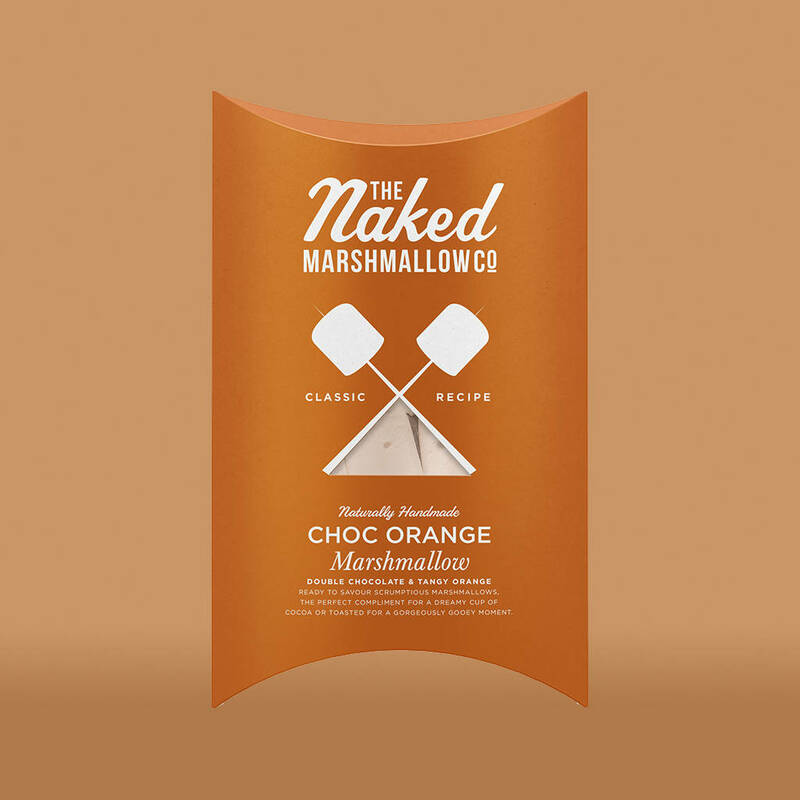 Each marshmallow is hand cut to size, measures approximately 3cm x 3cm and weighs approximately 12.5g. The packaging dimensions are: 20cm x 12cm x 5cm. 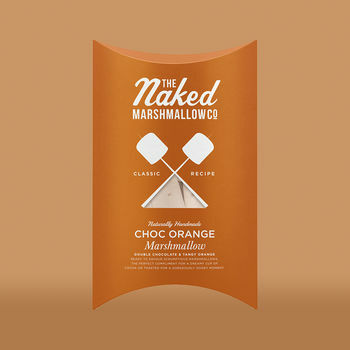 The combined weight of the marshmallows and packaging is approximately 100g.